Free Baby Bootie Knitting Pattern-What Could Be Better? I have been looking everywhere for a sweet free baby bootie knitting pattern. I wanted it to be a little lacy but well constructed. I didn’t want it to fall off the baby’s foot with every movement. I don’t know about you but I think this is a tall order. I have knit dozens of little knit socks for little ones, some purchased and some were free, and although they are cute they are just not functional. What got me thinking about this, was a friend that had the cutest booties knit for her by someone else and she lost one of them in the first week. She was sick about it. She said it didn’t really fit the baby but was so cute and she didn’t want to offend her friend that knit it. Why Not Knit Something That Will Actually Stay On? I can understand that but why not knit something that will stay put. Well of all places, I found this pattern on the BBC. You’ve got to admit this is one well constructed free knit baby bootie pattern. I think they are adorable. Just click the image and go over to the BBC and check out this free baby bootie knitting pattern, and see if you don’t agree. It is not complicated at all. The key here is the right size needles. The pattern suggests 3.5mm needles. Remember this is a British site, so look at your needle size carefully. A size 2 or 3 American knitting needle would work great. Also I found this video of someone helping a beginning knitter know how to work the pattern, Yes the same one as above of the little cream ones. It is really very helpful and easy to follow. And you can pause and reverse to be sure you get all your questions answered. The pattern is located on the video but it is a long url. So here it is. I loved these, I hope you do to and have fun! I know it joined my knitting patterns favorite list. This is another gorgeous free pattern from LionBrand.com. You do have to create a free account to get to the pattern, but don’t hesitate because there are tons of patterns there. But these precious little booties are special because they can be adjusted with the little Mary Jane Strap to fit whatever little foot it is going on. And thus as already discussed, they will stay in place and not get lost. And these are not difficult to make. So you can enjoy the completion of your project quickly. There is a lot to be said for a free pattern. These would be perfect for gifting to the new mom. 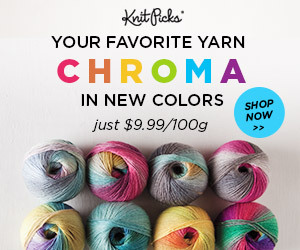 Or any knitter on your knitter’s Gift list. If you can find a lovely little sock pattern for free and enjoy making it, you will feel great. It is the best way to learn to knit booties and to learn to love knitting them. I do have several other Free Baby Bootie Knitting Patterns that you can check out too. You can always buy some paid bootie patterns, they are not expensive and they are plentiful and usually they are a bit more unique and detailed in their style and pattern. I have other Baby Booties posts that will help you find some really cute inexpensive bootie patterns, but for now. Just have fun!! 1 Free Baby Bootie Knitting Pattern-What Could Be Better? 3 Why Not Knit Something That Will Actually Stay On? I found this through a Squidoo lens of yours http://www.squidoo.com/babyknittingpatterns1 – thanks I want to get back into knitting and these booties are too cute! thank you! 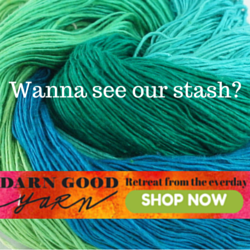 You really should, working with yarn is the best pastime ever. I love knitting and crochet! So cute! Wish I could knit. I’ve tried but we just don’t get along. I do crochet though and my niece will be having twins in February so I need to get busy. Crochet is a wonderful yarn craft, I crochet too. But knitting is amazing, I do hope you will try it again some day. I love knitting, I have for several decades. Baby Knitting Patterns are my favorite, as I expect they are for many of you too. The Purpose of this Blog is to provide my readers with wonderful inspiration for that next knitting project, making a gift for someone else or for your own special baby. I will inspire you with patterns and yarns and great ideas. I’ve also included some helpful videos for you, just in case. Visit Susan Kaul’s profile on Pinterest. Affiliate Disclosure Babyknittingpatternsblog.com is a participant in the Amazon Services LLC Associates Program, an affiliate advertising program designed to provide a means for sites to earn advertising fees by advertising and linking to Amazon.com. Babyknittingpatternsblog.com is also an affiliate of and receiving compensation from several other affiliate programs including Share A Sale, Commission Junction, Affiliate Window, Rakuten Marketing, and Target. All opinions or endorsements of products sponsored by these companies expressed in the reviews or endorsements on this site are our own.